​Mikael Rigdahl is the group leader for the research group Polymeric materials and composites. An overall aim of the activities is to form a scientific platform from which new or improved materials and processes for polymers and composites can be developed. Here the relations between structure, processing and properties of the material/product are in focus. 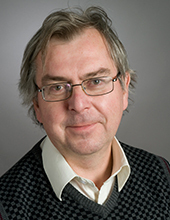 Mikael Rigdahl’s research interests are primarily within rheology of solids and fluids, composite materials (incl. nanocomposites), renewable materials and the relations between material properties and how we perceive them, e. visually. There might be more projects where Mikael Rigdahl participates, but you have to be logged in as a Chalmers employee to see them.